The Maloof Money Cup Has started. The Maloof Money Cup is a premier showcase for professional skateboarding, begun in 2008 and held for the second time in 2009. The event was founded by Joe and Gavin Maloof, whose family owns the Sacramento Kings NBA franchise and the Palms Resort and Casino in Las Vegas, among other ventures. 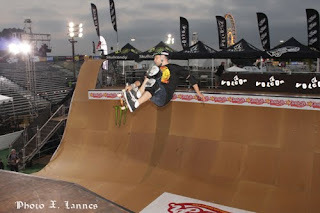 This three-day festival, which includes the US Pro Men's and Women's Street Championships, the US Pro Vert Championships, and the Maloof Money Cup Am Championships, was first held July 11-13, 2008. The 2009 event was held July 10-12, 2009. Both of the inaugural events took place at the OC Fair & Event Center in Costa Mesa, California during the opening weekend of the OC Fair. Now entering its third year with an expansion to New York City, the 2010 Maloof Money Cup, presented by Vans and Monster Energy, has been dubbed the “world’s greatest skateboarding event.” The event was created by Joe and Gavin Maloof, whose family is known for their sports & entertainment ventures from the Palms Resort & Casino in Las Vegas to the Sacramento Kings NBA franchise and more. With a mission to work closely with the skaters and the industry to create a new type of contest, the Maloof Money Cup has featured the most diverse group of skaters ever assembled to compete on one-of-a-kind courses designed by the skaters themselves. The result is a platform for some of the most progressive skateboarding ever seen. 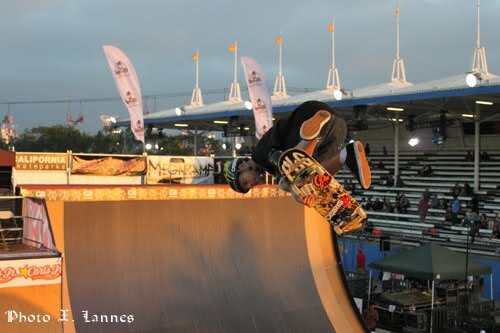 New for 2010, the event schedule features a Masters of Street and a Masters of Vert demo to kick-off the 2010 Orange County contest. Sponsored by S-One Helmets, Steadham Skate Industries, Independent Trucks, Bones Wheels and Powell Peralta, the Masters demos will feature skating icons such as Christian Hosoi, Steve Caballero, Jesse Martinez, Ron Allen, Lance Mountain, Eddie Reategui, Eric Dressen, Chris Miller, Lester Kasai, Steve Steadham, Duane Peters, Tony Magnusson, Kevin Staab, Jeff Grosso, Eric Nash, Ben Schroeder, Pat Ngoho and Mike Mcgill. A special autograph signing with the Masters will take place Wednesday at the Masters' booth in the Festival Village. Check the MMC website for autograph signing days/times. "Everyone at Vans is excited about the addition of the Masters to the Orange County Maloof Money Cup," said Steve Van Doren, Vans vice president of events and promotions. "It's important for kids to see the roots of skateboarding and how it's influenced skating today. We feel honored to be able to see these guys still shredding."